Click on the class you are interested to attend and you will be taken to the registration page where you can sign up. Do this for the free trial workouts as well as they fill up quickly and priority is given to those who have reserved a space. Our classes get busy so please register online and sign up early so you can reserve your spot. 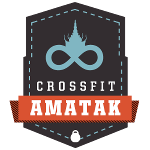 Spaces fill up quickly and we cap our classes (10 for CrossFit, 12 for Bootcamp). Also, be sure to sign up for our mailing list at the bottom of the page to stay updated on additional classes, special events and new programs.